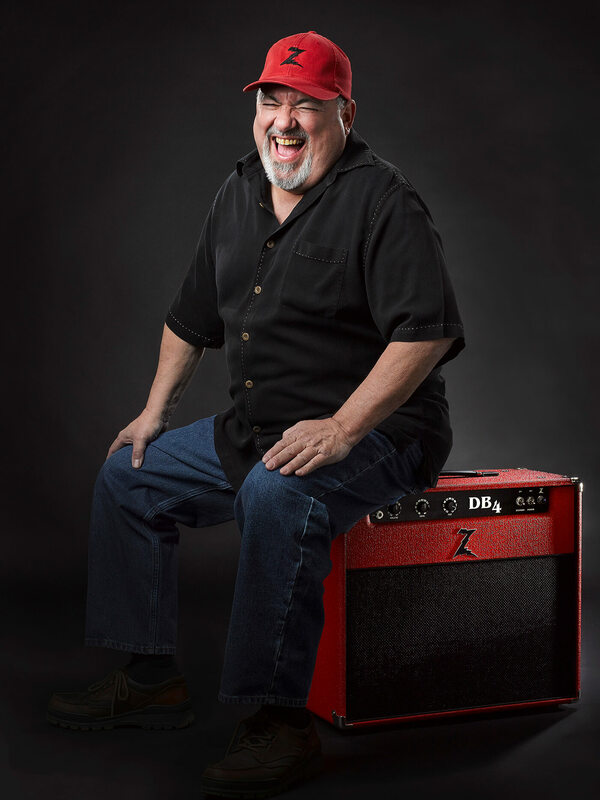 Mike Zaite, the celebrated boutique-amp designer behind the fabled Dr. Z brand, talks 30 years of hand-wired creations, build quality and endorsements from star players. Now here we are in 2019, in Dr. Z’s 30th year of production, and he’s still delighted every time a guitarist ‘gets’ what he’s striven to put into a new design. He’s also still devoted to delivering the same level of professional tone and performance to the young up-and-comer and casual weekend player that he provides for repeat star customers such as Joe Walsh and Brad Paisley. Much like Leo Fender or Jim Marshall, Zaite is not himself a guitarist. He is, however, a drummer and as a kid, he was a drummer whose parents were generous enough to allow band rehearsals in the basement of the family home in Cleveland, Ohio, meaning there were always old tube amps left behind from week to week for the electronics enthusiast to poke around in. “Man,” says Zaite, “I did some unauthorised modifications, I can tell you that, to quite a few old Fenders and Silvertones and whatever was left at my house.” Which is not to say that “unauthorised” translates to “reckless”. By high school, Zaite had already spent much of his childhood from the mid 50s to late 60s receiving electronics tutelage from his TV-repairman father, and experimenting with the piles of tube gear that littered the home workshop. By the time he was messing with his bandmates’ amps, he very much knew what he was doing. Zaite formalised this DIY-style education in university by earning a degree in electronics. Afterwards, he set out on a career working in medical-equipment design and manufacturing for General Electric – “doing sophisticated stuff”, as he puts it – and further grounding his skills in an industry where component quality, tolerances, and tight wire runs really matter. In 1988, Zaite launched Dr. Z in grand style, if not to any major fanfare, by building an amp for Joe Walsh, which the guitar star immediately took out with the Eagles on the band’s fabled Hell Freezes Over tour. Zaite had known Walsh from the Cleveland scene years earlier, and retained a close acquaintanceship with his manager, David Spero. Mike had little trouble getting an amp into the artist’s hands after noting that one of Walsh’s precious Vox AC30s had gone up in smoke on a live MTV performance prior to the tour. Whether or not the Eagle would like the creation, though, was another matter. 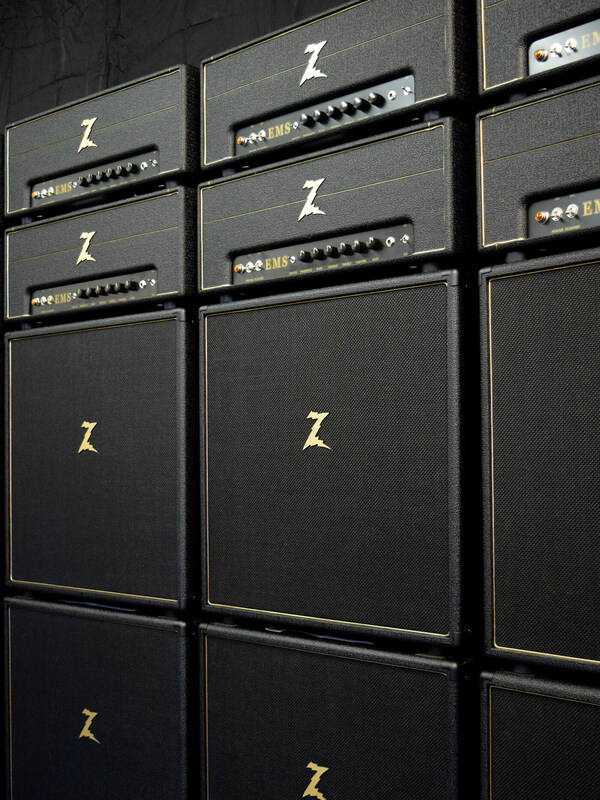 Even if the tour didn’t sell a lot of amps for Dr. Z, it proved to Zaite that he had something in these amps of his, and inspired him to push forward with the effort. Just a decade later, Dr. Z was one of the best-respected names outside of the major manufacturers, and had secured a stellar reputation within the industry. Anyone who’s spent time admiring the inside of a Dr. Z chassis will note the marriage of fluidity and simplicity that merges with quality components to produce a robust and toneful whole. These remain among several ‘first principles’ in the Z camp, and there are others still inherent in his designs and builds that retain roots in Zaite’s medical-equipment experience. “I guess I did kind of bring several things with me into some of my designs from my background in medical electronics,” Zaite says. “And, as unfancy a subject as it might be, I certainly put a lot of work into my chassis designs. I use 90-thousandths aluminium chassis, and I chromate-dip them for increased conductivity. It really does make a very breathable, alive base for the amp to be built on. Other hallmarks of the Z ethos include seeking out just the right component for the job and maintaining a consistency from amp to amp, as much as possible – both of which have occasionally required going to great lengths to secure suitable parts. 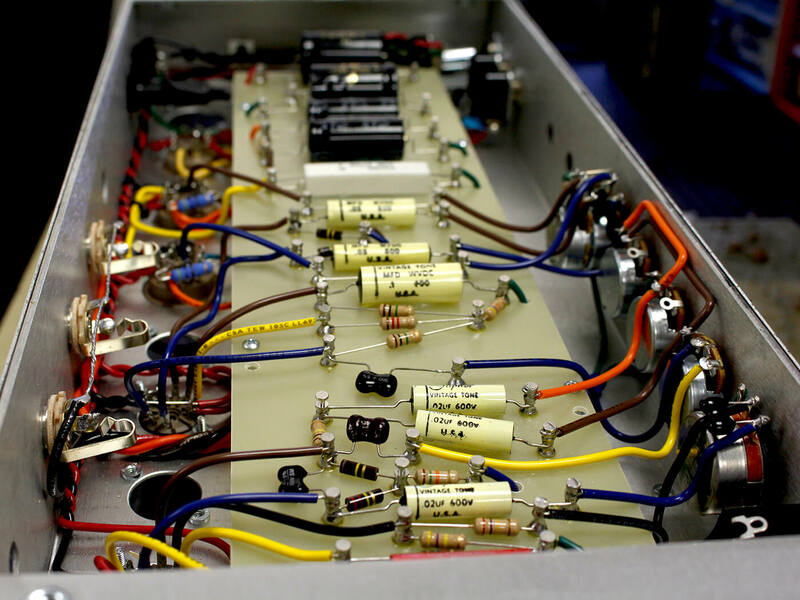 “One thing that I think does help my amps is the coupling capacitors,” Zaite relates. “The company that makes the old Orange Drops now, SBE, they’re way out in Maine somewhere and what I ended up doing was formulating an older-style cap that was no longer in production, as they had moved on to faster and more powerful caps. I kind of liked the sound of an older-style cap that they made, so I had them build them for me in large lots, so that eliminated deviation from amp to amp, because these caps were all built the same day, and they all had extremely high tolerances. 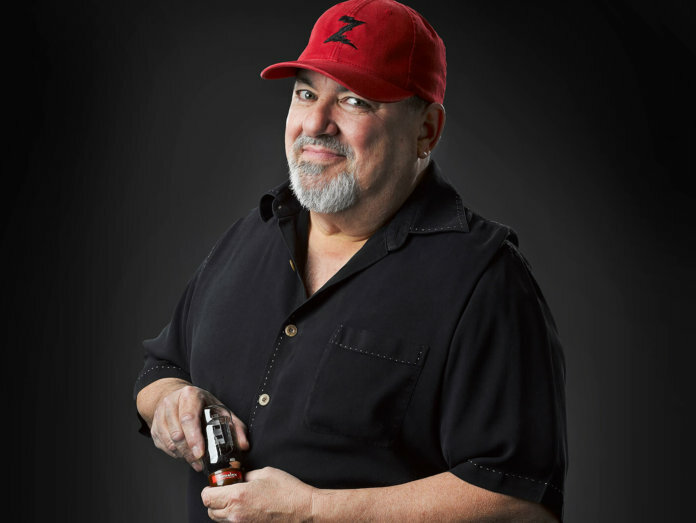 Dr. Z segued into the Nashville market in grand style in the late 90s when budding Tele-meister Brad Paisley purchased a stock Dr. Z Mazerati in 1999, and he and Zaite collaborated on the fast, responsive Prescription Extra Strength model shortly thereafter. Since then, Zaite and Paisley have collaborated on three further official releases, including the Stang Ray (intended to re-create the EF86-driven channel of Paisley’s prized early AC30), the Z Wreck (inspired by Ken Fischer’s Trainwreck amps), and another pentode preamp design – this time using a 5879 tube – dubbed the DB4 (Doc & Brad #4). A fifth collaborative effort between Zaite and Paisley bloomed in 2018 in the form of a Dr. Z recreation of a rare early Vox AC100 head that the artist had fallen for, but which could be troublesome on the road because of the excessive heat produced by its four EL34 output tubes. So far, the big 80-watter has only been available in limited numbers as Master Builds constructed entirely by Zaite himself, although there could be scope for a wider release in the near future. Meanwhile, however, Zaite’s artist-signature focus is trained on another model: the new Z-Master, designed to emulate the original ’59 tweed 3×10 Fender Bandmaster combo that Joe Walsh gave to Pete Townshend in 1970. That amp, along with a late-50s Gretsch 6120 Chet Atkins Hollow Body guitar, quickly became the sound of Townshend’s guitar on The Who’s ’71 album Who’s Next and much of his work after… yet its loss had long haunted Walsh. For all the kudos he’s received for his own work, Zaite is also quick to admire worthwhile new creations by other amp makers; any of whom might otherwise be regarded as ‘competitors’. “For the most part,” he says, “it’s a pretty small world, and we tend to support each other, those of us who have been around a while, at least. I have been really impressed by the work of Mark Bartel, for example. His new line demonstrates a very unique building technique that generates a wonderful-sounding original amp. Find out more about Dr. Z Amplification at drzamps.com.